Pink Gellac Hot Plum is such a fun neon! I love colors like this one, also because they go well together with my skin tone. The polish is a one coater, but once again, you might benefit from applying a couple of thinner coats to get a long lasting manicure. 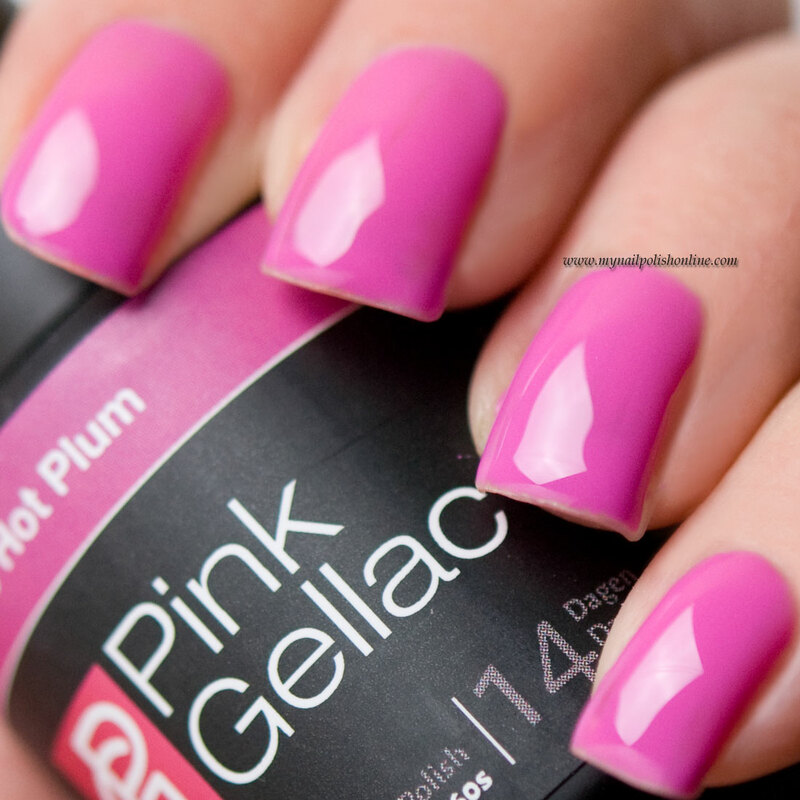 Pink Gellac Hot Plum is a gellack which means that you need a LED-lamp to cure the polish. Each coat takes a minute to cure and you need to apply a top coat to seal the manicure. Pink Gellac Hot Plum comes from Pink Gellac’s homepage and can be found here.